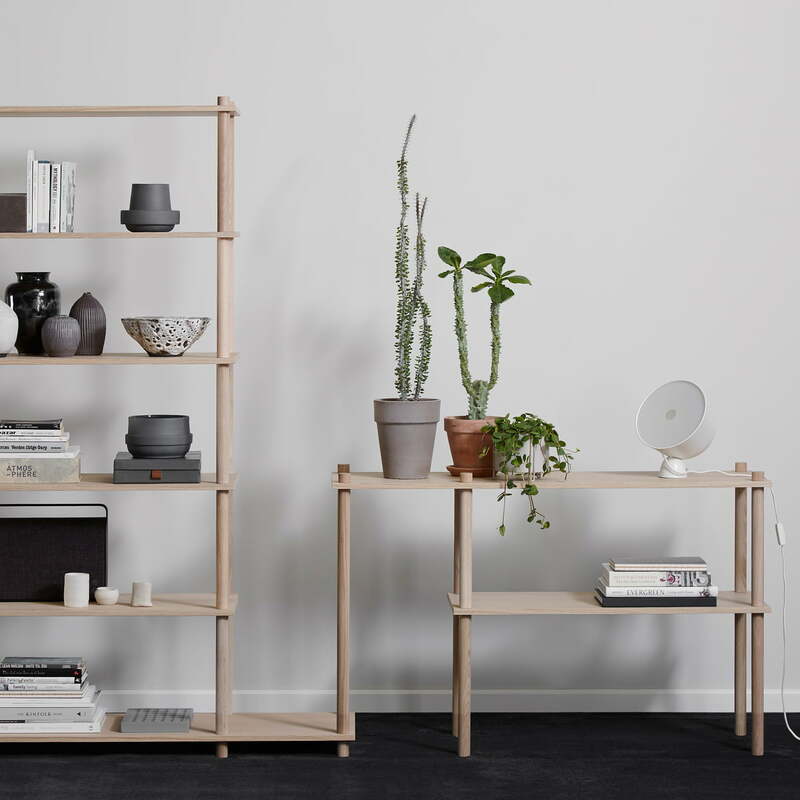 Elevate is a versatile and modular shelving system designed for Woud by Camilla Akersveen and Christopher Konings. With different shelves and dowels, Elevate can be mounted in an unlimited number of combinations without the use of tools. The individual modules are simply plugged together and tightened using the dowels. The simple and versatile Elevate series is suitable for both private and public areas. Files, boxes, books, vases and decorative elements find a stylish and decorative place in the modular shelf. In addition, the shelf adapts perfectly to any room situation. The individual modules are made of oak wood with various finishes. Elevate shelving system, System 1 from Woud in single view. 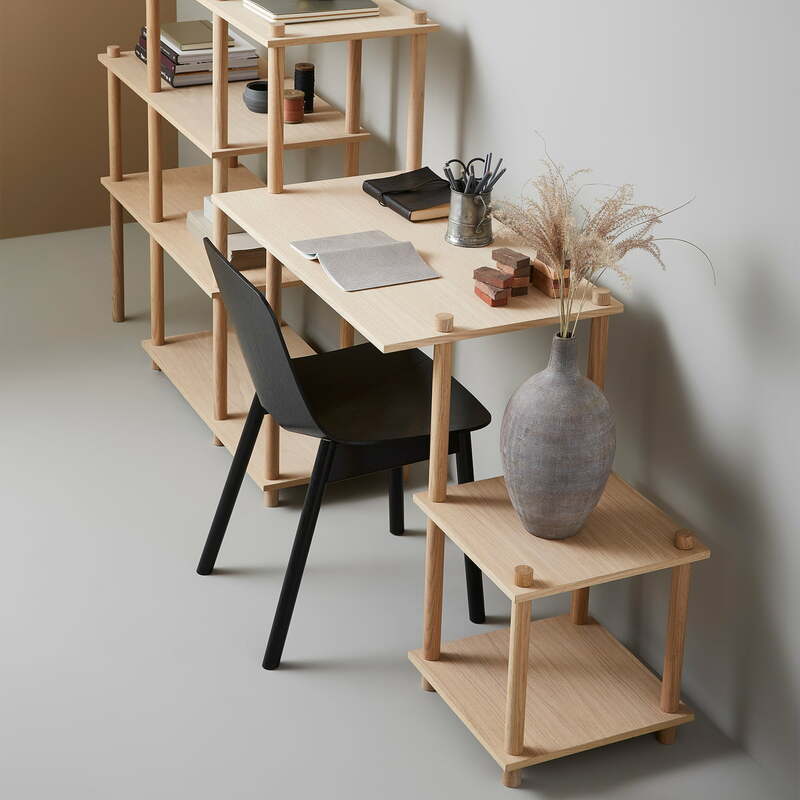 Elevate is a versatile and modular shelving system designed for Woud by Camilla Akersveen and Christopher Konings. Elevate shelving system, System 1 from Woud in the ambience view. 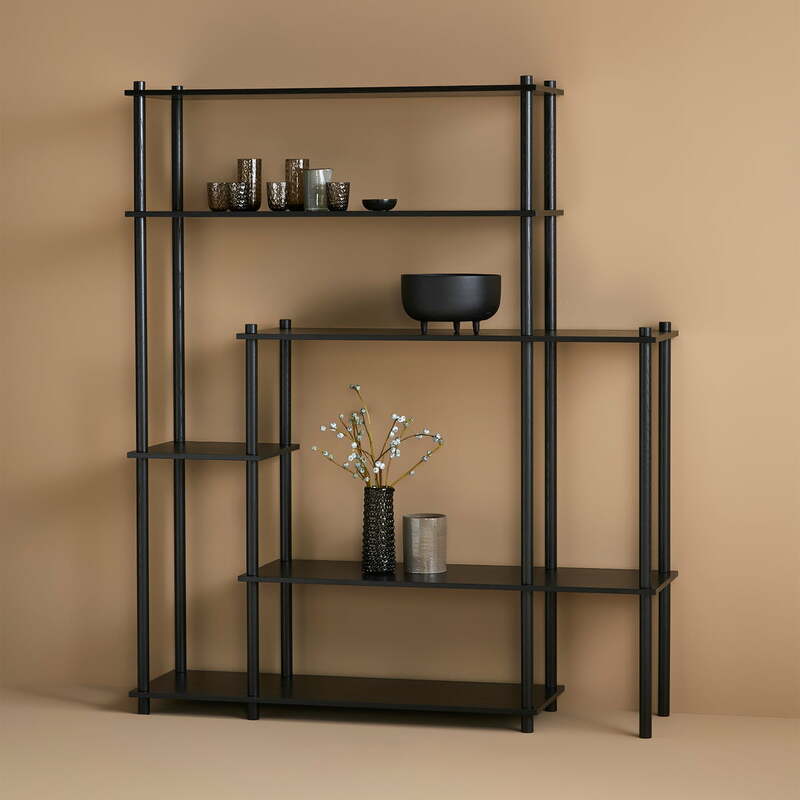 Files, boxes, books, vases and decorative elements find a stylish and decorative place in the modular shelf. 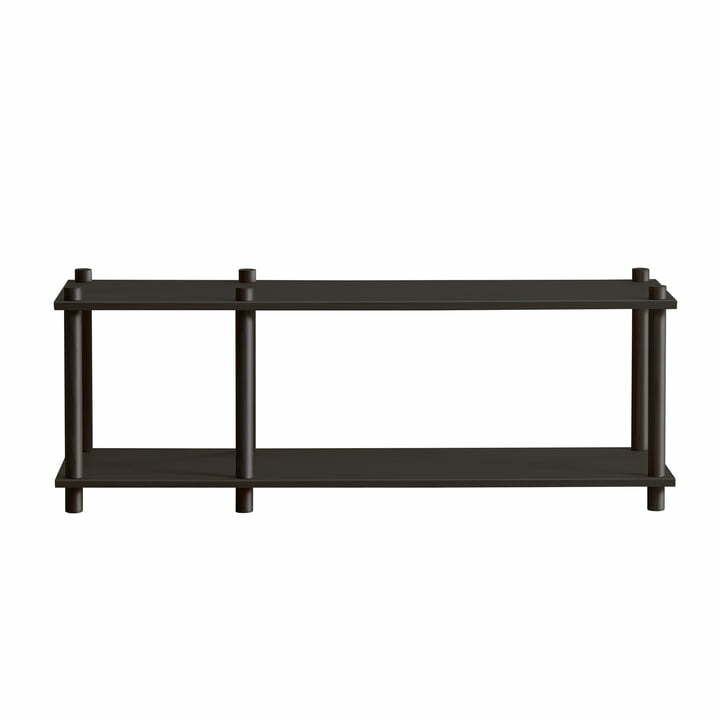 In addition, the shelf adapts perfectly to any room situation. Elevate shelving system, System 1 from Woud in the ambience view. The shelf can be extended as required and designed for individual use. It can also be used as a desk. Elevate shelving system, System 1 from Woud in the ambience view. 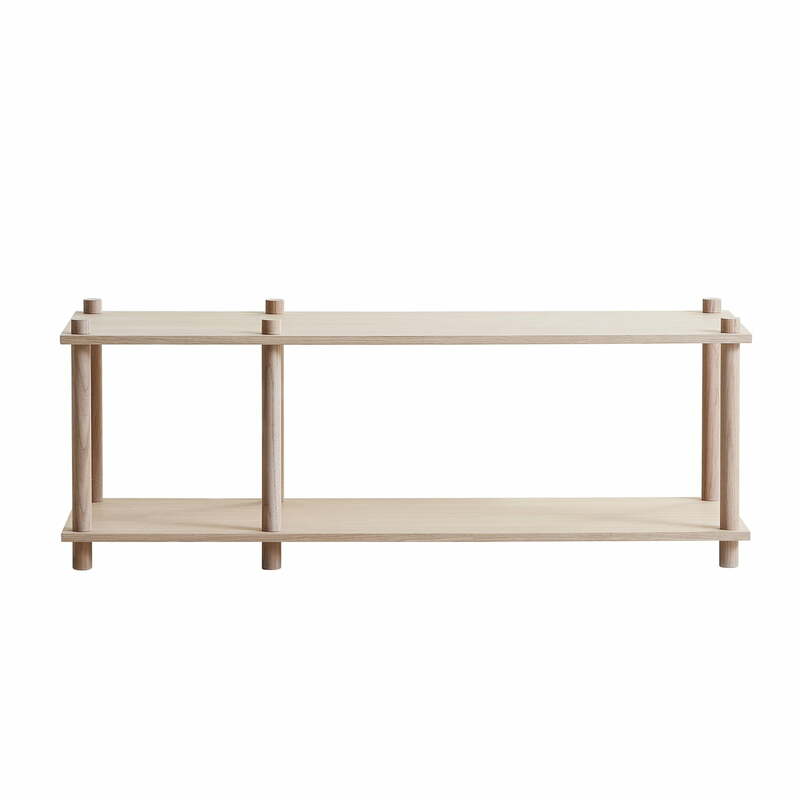 The shelf can be configured according to individual wishes and needs. It doesn't need any screws.